Join us at the South African Bookfair, which takes place from 31 July to 2 August 2015 at Turbine Hall in Newtown/Johannesburg. The South African book fair is the biggest book fair on the African continent. This is the first African book fair in Johannesburg and more than 100 authors are expected to participate in the literary programme in more than 40 events. This year’s book fair is a three-day event. 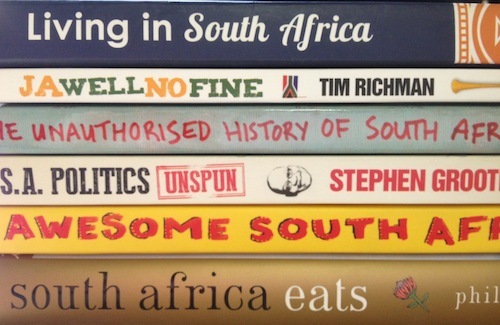 The South African bookfair will take place from Friday 31 July to Sunday 2 August 2015 at the Turbine Hall in Newtown. Doors open at 9h00 and close at 17h00 every day. Entrance costs R50, for students and pensioners R30. The book fair is a great event and caters for people of all ages and is an excellent opportunity to get children excited about reading and books in general and to get your teenagers talking about books too. There are so many events during the book fair, I am sure there will be something interesting for everyone. It will be lovely to meet many at our stand - Awesome SA Publishers - too! What's on at the South African bookfair? Visit us at the Awesome SA Publishers stand and chat to Derryn Campbell, author of the bestselling 'Awesome South Africa' book and the 'Living in South Africa' expat guide book. There are more than 40 events, which will be interesting to attend, not only to those already living in Johannesburg. For times and location of these and other events please refer to the book fair programme on their website. Find out more on the website of the South African book fair.